FDA approved "Kcentra" for reversing Coumadin in adults with acute major bleeding. Plasma is the only agent approved thus far. It is a human prothrombin complex concentrate prepared from pooled donors. When you want to analyze a trace i.e. identify the waves in a CVP trace, you can use the "Freeze" function. The "frozen" traces have a vertical, dotted line at every second. 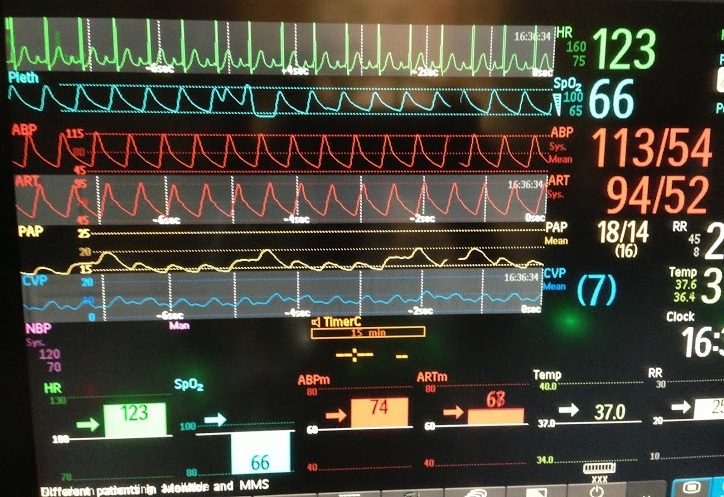 These lines coincide between traces, enabling you compare the EKG trace, Arterial trace and CVP trace. These can be used to identify the waves in CVP trace. In this example, CVP trace has taller v wave compared to a wave. 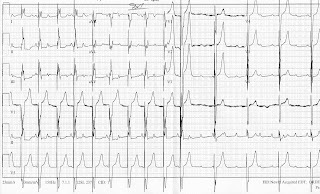 v wave corresponds to the peak of arterial trace - i.e. 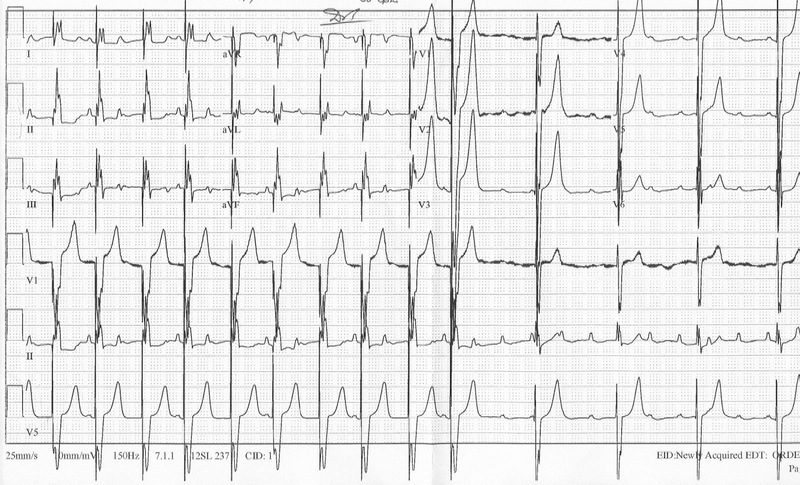 ventricular systole. 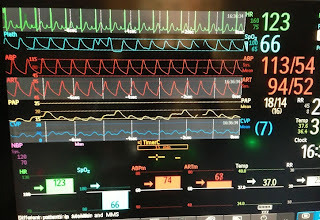 Note: Arterial ejection peak is somewhat delayed from the electrical systole (QRS complex) due to the delay between electrical systole and mechanical systole and a slight delay in arrival of the peak of arterial trace to the femoral artery and right radial artery. (In this panel, trace labelled ABP is right radial artery line and the trace labelled ART is left femoral line).